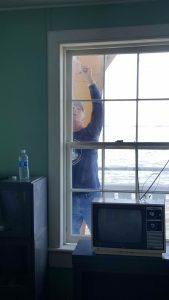 Workday: Thomas Point Lighthouse – October 12 & 15, 2016 – Chesapeake Chapter U.S.L.H.S. Karl, Karl, and Rich working on dormer replacement. 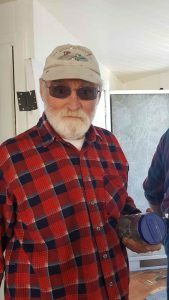 It was a busy week at Thomas Point. On Saturday it was a full crew of a dozen volunteers with three first time volunteers and three volunteers coming down from Pennsylvania. It was a picture perfect on both days with cool temperatures, a slight breeze and low humidity – two perfect fall days. On Saturday volunteers completed painting the exterior window frames. Some of the windows were inspected and those needing re-glazing were identified. 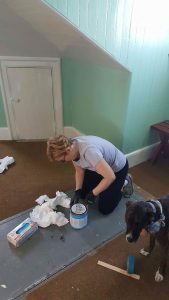 Upstairs painting continued – this time it was another coat of white paint on the walls and a coat of paint on most of the trim. The trim around the doors to the NOAA equipment was also given a fresh coat of paint. The second floor is beginning to look really good. On the first floor the rest of the equipment room was given a coat of primer. It was not all about painting though. Some of our volunteers took some measurements for a planned pullout paint cabinet for one of the closets. 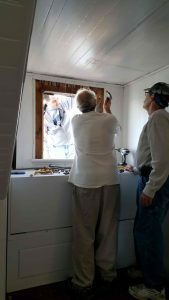 Volunteers removed one of the dormer windows which has rotted and put in a temporary non-opening window. 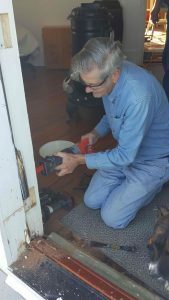 Two members of the Woodworkers Guild worked on the rotted doorframe to the door that enters onto the sitting room. Some USCG signage was also permanently affixed to the dock. 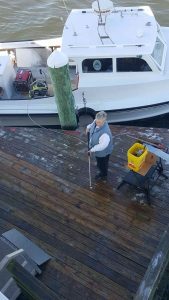 Captain Howard and Cathy Lewis power washed the lower level dock and decking. 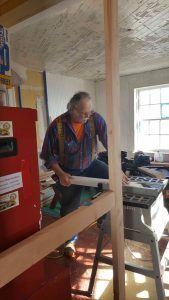 On Wednesday a small group of volunteers added more strips of siding to the equipment room (just in time for the priming on Saturday!). 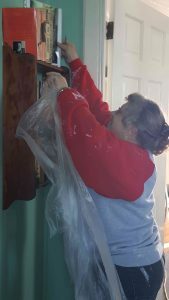 They also worked on disassembling and cleaning an old music box and a cabinet door was repaired. They also installed another bird squawker just above the dock. Hopefully this will help dissuade some of our uninvited featured friends from partying on the dock. 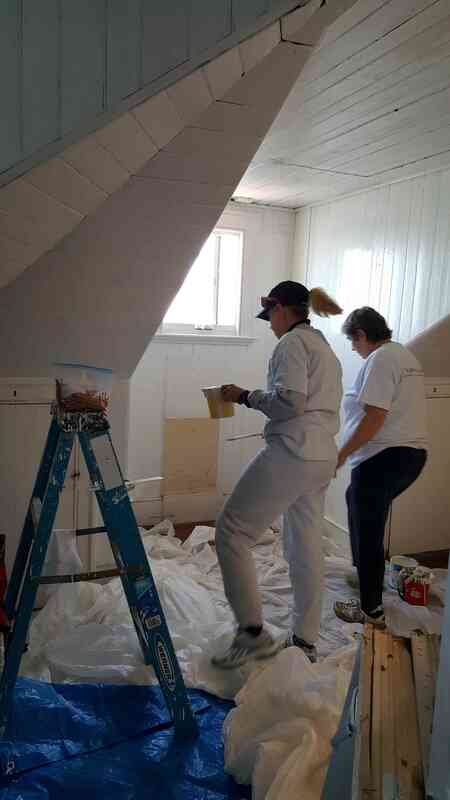 Carolyn and Helen painting second floor room. Heidi packing up artifacts for season. Virgil Ramey works on doorframe repair. 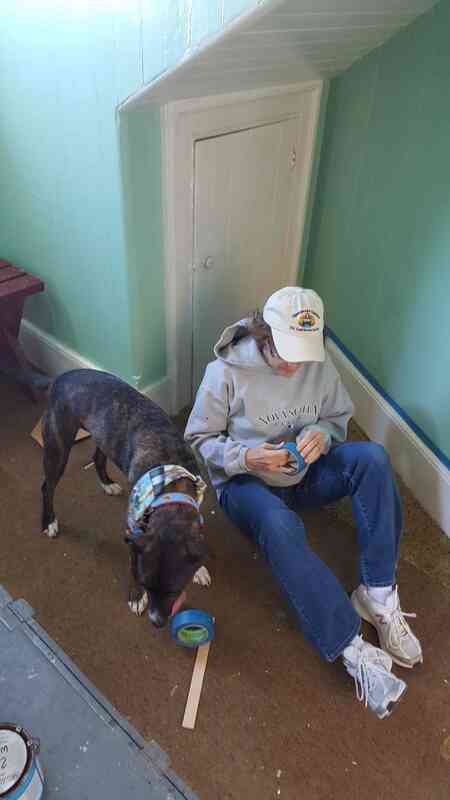 Cory and Spartacus working on upstairs trim. Bernie Lammers working on doorframe. 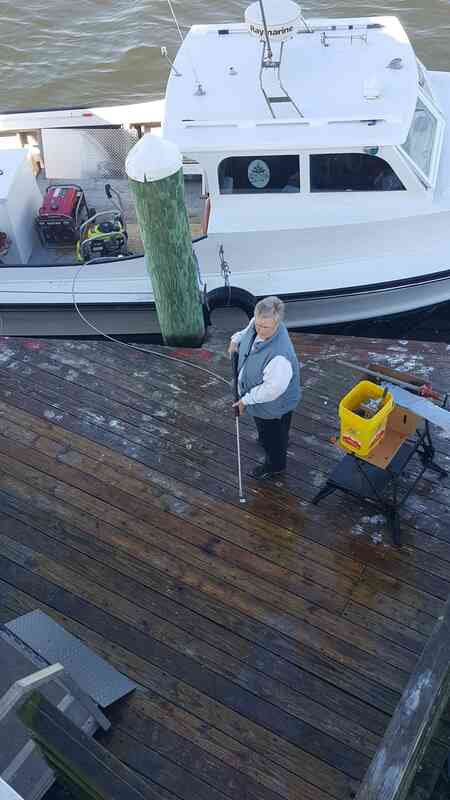 Cathy and Howard power wash the dock.